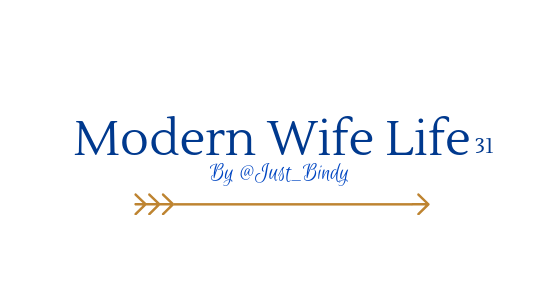 Belinda Scott is the creator, writer, photographer & editor of Modern Wife Life31. She is based in a small town an hour outside of Toowoomba. She is a stay at home Mum to the sweetest little girl & little man. She is a writer who loves to take too many photos. She enjoys documenting the everyday, searching for the sparkle in the monotony and inspiring other wives & Mums. Belinda has worked with brands such as Finish, Air Wick, Spotlight, Disney Jnr & Hi-5. She contributed to the Pickle Blog on NineMsn. She has been on the cover & the feature in the February/March 2017 edition of The Highfields Own magazine – which she writes a column for. She is passionate about life, God, Mothering with joy & heart, simple living and the being the best person she can be. If you would like to work with her, please click HERE to go to her contact page. Firstly, it is never Belinda – NEVER, it’s Bindy. It is always Bindy. Together with my best friend – Trent we have the most darling & clever little girl for a daughter & the most relaxed & handsome little man for a son. We have 4 furry members of our family as well, 2 dogs – Daisy & Duke & 2 cats – Sparksy & Spook. I love to write and I love to take photos. I am deeply passionate about being the best wife & Mother I can be. I love having a clean and organised home and am very house proud. I am not a perfect Christian but I love our Lord. I love to eat and cook good food. I also enjoy a good glass of wine, it is even better with friends. I try living slowly & simply. I enjoy shooting guns & I occasionally hunt. I grew up on 102 acres – I loved living on a farm, I love the freedom of having your own land & the privacy. I love to read, I lose track of time when I am staring at pages. I adore everything blue, turquoise & mint. I have weird fascination for squirrels and collect ornaments of them. I am a proud owner of a Thermomix (TM5). I am a maker. A maker of crafts, treats, lists, paragraphs, meals and memories. This blog is a combination of all things I do & love. My goal for this blog is to encourage women. Encourage them to enjoy being a wife & a Mother. I provide realistic & simple activities for parents to do with their children & aim to write positive, honest & uplifting blog posts that inspire & encourage. I chose to write about the joy, because that’s what I care to focus on. Welcome to Modern Wife Life31. I hope you like it here and if you have any questions or comments please feel free to comment or connect with me on social media.